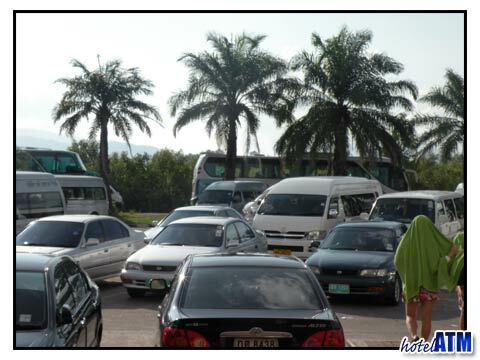 Krabi Airport to Phi Phi transfer gets you to your favourite travel destination in one smooth move. The only bottle neck are the ferries from Krabi to Phi Phi at 9.00am, 10.30am, 13.30pm, and 15.00pm. If your inbound flight can’t get you to the ferry pier by 15.00pm you might need to stay at Krabi or at Ao Nang Beach before resuming your journey the next day. On leaving the Krabi coast line by ferry you see the large Phrang Nga Cliffs to the north and follow the coral fringed islands out in a direct line to Bamboo Island, the first of the Phi Phi archipelago. 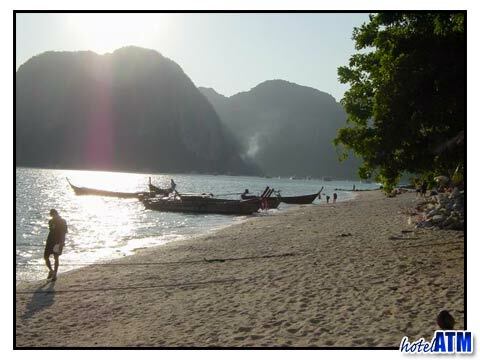 Protected in the low season months from the westerly winds, the sheltered easterly slopes of Phi Phi are a wooded and jungle covered landscape of great beauty. As you round the headland at Hin Phae or shark point at Long Beach you hear a collective sigh as the passengers of ferry take in the majesty of Tonsai Bay, Phi Phi Ley, the dark blue of the deep waters, the aquamarine of the shallows and the cliff walls that make these islands famous. A Krabi Airport to Phi Phi by speedboat has more flexibility with your depart time from Krabi town and can leave and connect with the last flights in to Krabi Airport. It is also private and a great way to zoom out to Phi Phi Don Island. Speedboats are by far the quickest way to get to the luxury resorts on Phi Phi Don island and has the advantage of being private. The transfers from the Krabi Airport to Phi Phi luxury resorts by standard ferry are straight forward but can involve a further transfer from the main pier on Phi Phi Don Island to the north of the island. This is where the Zeavola Phi Phi Resort, Holiday Inn Phi Phi Island and Outrigger Phi Phi Island Resort and Spa (previously Phi Phi Island Village Resort And Spa) are located. If the Krabi Airport to Phi Phi transfer leaves you without a ferry and the speedboat option is not good for you, there are many fine hotels and resorts and a huge variety of things to see and do in Krabi, even if it is just for the one night. You can stay in Krabi town where my favourite is the 4 star but in expensive Maritime Park And Spa Resort or you might want to explore the Ao Nang Beach Hotels or have a look at the beachfront Krabi Resort.